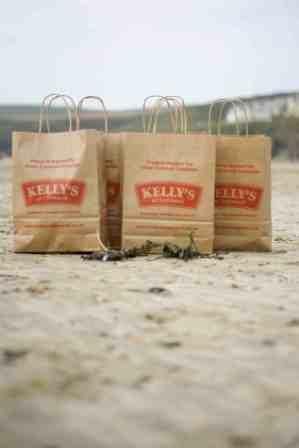 Kelly’s of Cornwall is lending its weight to the Clean Cornwall campaign, by producing 10,000 recycled litterbags. The brightly branded bags will be available free from petrol stations and roadside stops along the A30 from the Easter period (April 2-5), as well as Clean Cornwall road show events throughout year. Kelly’s hopes that providing refuse bags will encourage people to take their litter home for disposal instead of littering the countryside. James Staughton, chairman of Clean Cornwall, initiated the campaign three years ago and it has since garnered support from all over the county – both public organisations and private businesses.